These are FREE events. A new addition to our Festival … and we are very excited! In order not to be disappointed in order to get a seat, we suggest you ensure you are in the venue BEFORE the starting time as advertised. 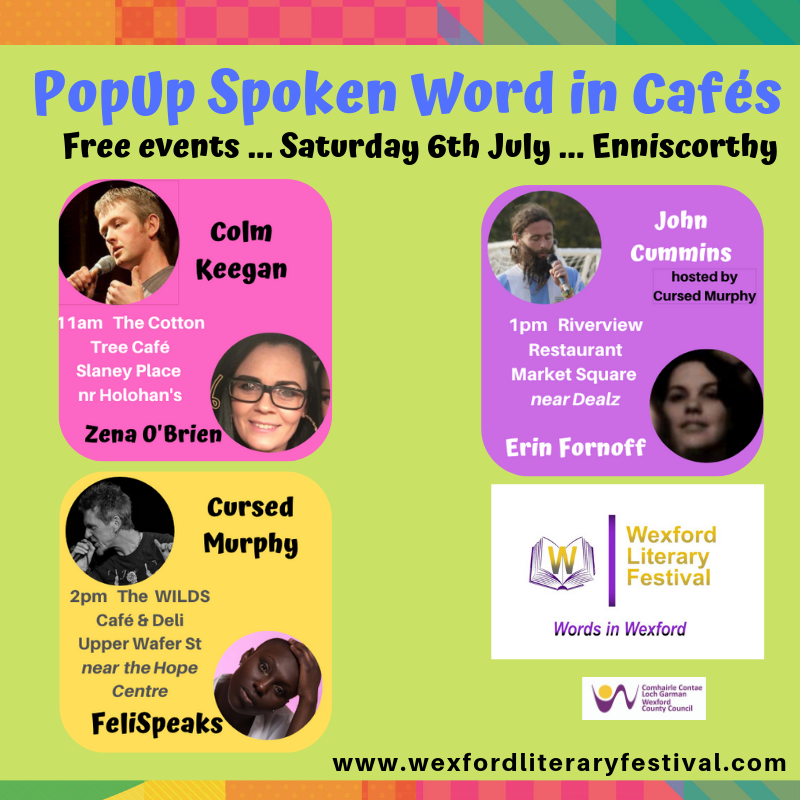 The Wexford Literary Festival is very proud of the quality of food that each establishment offers, and recommend that you support the venue in which you are enjoying the performance of our emerging local and nationally acknowledged artists.